I have been in the UK for 1 year and was looking to buy a piano since I have been there. I have been playing for 13 years and was therefore looking for a piano that would be a suitable match between my budget and my skills. After talking with Graham, by Email and then in the shop it was crystal clear for me, I knew which digital piano was the more suitable for me. I received the Yamaha Arius YDP162 this morning and I am delighted. I would recommend UK pianos to anyone who’s planning to buy a piano. I am so glad I came across Graham Howard’s informative digital piano review. Once I had researched and read it all, I decided to purchase the Yamaha 162. I felt I made a very well informed purchase and my family is now enjoying this superb digital piano. 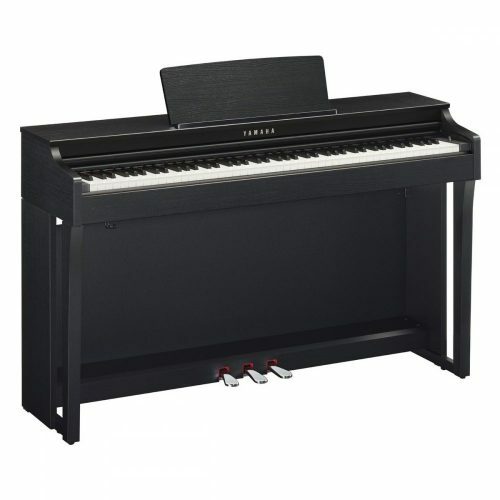 I also ended up purchasing from UK pianos as I searched everywhere and found the best deal online. UK Pianos was able to match the best deal I found. The store was professional and efficient – I received my yamaha piano only a few days from ordering. Thanks UK Pianos – you have made me a very happy customer. I would recommend UK pianos any day! First impressions of the Yamaha YDP162 Arius digital piano. Made a short list and thought about Yamaha YDP 141 and 161. Read many reviews, including those on UK Pianos and decided on 161. In the meantime Yamaha introduced model YDP 162 and we chose this after giving it the once over at a local music warehouse. We decided to purchase from UK Pianos since they were offering a good deal and delivery time. This YDP162 exactly suits our purpose: one expert, one reasonable and one beginner and three interested toddlers. The YDP162 is good looking and sounds great, especially when played through the hifi amp and speakers. In the experts opinion it is a delight to play on. The YDP162C (light cherry) came bundled with stool (rosewood) and the contrast is very nice. The headphones were delivered by post a few days later. they appear to be of good quality and quite comfortable to wear, though I am no expert in these matters. The service from UK pianos was good. Although my purchase was acknowledged immediately by email there was only mention of the extended warranty on the UK pianos website. We were advised of delivery time and this was confirmed by a telephone call, so full marks for that. Love the YDP 162, and a very pleasant experience so far. I had to buy a piano for my wife who started to study a school for kindergarten teachers – they have 2 years of obligatory piano lectures. I wanted something relatively cheap as I am not sure that she will continue learning piano after the final exam. On the other hand I wanted the piano to be good enough to allow her to learn proper technique. I cannot play piano myself, so I had to scan Czech musical forums for opinions. The most praised piano types in the forums were the Yamaha Clavinova and Arius types. Given my budget (an average monthly salary in my country) and the price in Czech shops I decided to narrow my search to YDP 141, YDP 161, YDP 142 and YDP 162 types. Afer trying them in a local shop I found that the keyboards of the lower types (YDP 141 and YDP 142) were displeasingly soft, so I decided to focus only on YDP 161 and YDP 162. The newer YDP 162 type has nicer cabinet, “ivory” keytops, and generally feels better. Also its piano sound is more realistic. Unfortunately, I found its sound rather unpleasant. It is not a problem of the loudspeakers, but rather a problem in the sound generation. I guess it is omitting or blurring some frequencies I am used to hear in the real instruments. Nevertheless, the winner is YDP 162. It’s been just over a week since I received my Yamaha YDP162R, thank you for the delivery promise. I can’t fault the YDP162 so far and cant praise it enough! After a close study of your free, unbiased literature on the subject of digital pianos, I received my Yamaha YDP162 a few days ago, and I’m greatly enjoying the experience of getting to know it, and slowly ,but slowly improving my playing skills from a modest base. The piano arrived as a flatpack on the day expected.This was only the day after approval of the interest-free loan was given. The substantial packaging was eminently suitable, and no transit damage had occurred. I must say that, if I needed ever to return the instrument, I would find it almost impossible to fit it back in its box- despite there being pictorial instructions printed on the box itself! The packaging was also voluminous, so storing it would have been a problem, too! Assembly was very straightforward, and the instructions were clear and easy to follow. My electric screwdriver came in most useful, saving an awful lot of twisting….. The assembled instrument (YDP162PE in polished ebony finish) looks a beautiful piece of furniture. The only downside I can find lies in the cheap construction of the plastic feet. Although the piano will not be subject to a great deal of shifting about my flat, the feet do not take kindly to being moved across a smooth laminated floor. I needed to cut a pair of suitably-shaped pieces of old carpet to place under the feet. I feel that Yamaha could have spent a few extra pounds in providing more substantial feet, perhaps of wood or ply, finished in the same way as the rest of the instrument. Failing that, then at least in providing flat soles to each foot to allow some felt pads to be stuck in place. Musically, the piano sounds very like the real thing; less realistic are the other sounds it is capable of producing- but these are of minor concern to me.The most important point I wish to make is that the weighting of the keys is just about right. Getting used to the touch sensitivity will take a little more time, and the more esoteric feature of damper resonance I feel I could leave to more expert players. I am minded of the early days of hi-fi sound reproduction, when manufacturers fell over backwards to convince us that listening to their particular brand of equipment was like being in the concert hall with the performers. Nonsense, of course, but just as there is no substitute for a live concert, there is also no substitute for a proper grand piano.To my ear, I have found no digital instrument that comes close to the real thing- both in terms of touch and sound. As you hintede in your most helpful literature, Yamaha have done a remarkable job in making the YDP162 a lovely instrument, and one with which I hope to enjoy many years of acquaintance and musical experience. Many thanks, Long Life to UK Pianos! Can I also point out that you had run out of the free stool that was suppose to have come with the YDP162, and was pleasantly surprised when you had offered an even better piano stool at a fraction of the price! I would also like to say how friendly and good natured the guys that had delivered the piano were, not to mention the speed of delivery! conversations with music stores (a little knowledge goes a long way as they say!). She is delighted with the choice I made. Graham Howard’s review was excellent. It allowed me to make a well informed decision and I ended up buying a Yamaha YDP162 from UK Pianos as they were able to match the best deal I found online. I am very very pleased as the customer service was very professional and efficient. I was able to receive my piano just a few days from ordering. It sounds and looks beautiful, my whole family loves playing on it – I am really glad I choose this model. I am one extremely happy customer and would recommend Graham’s review and UK Pianos shop any day! Thanks for the information in your digital piano guide. I bought from UK Pianos the Yamaha YDP162. in the polished ebony, and has the feel of a real piano. wonky legs it was swapped with no fuss using your courier. I purchased the Yamaha YDP162 from yourselves. Fantastic service, ordered at about 11pm Thursday, delivered on Friday. Thanks a lot for the information that you freely provide. It played a key part in the piano that I chose to purchase. Based on your reviews and your manual I know I might the right decision for the level I am at and the budget available. I chose to purchase the Yamaha YDP162. I am new to piano and started taking lessons a few months ago. the most important metric for me was the key feel. I wanted something that closely models a real piano, but that still comes in at an affordable prize. I am extremely happy with the piano though I haven’t had as much time on it as I had hoped. I found the information on your website refreshingly impartial and I tried some pianos at my local piano shop after following your advice I believe, to try out and see, and I’m so glad I did. If I hadn’t done that I would probably picked the wrong one for me. At my local shop I could not get the 5 year warranty which was the most important thing for me – and at home service to boot! The piano stool and headphones was yet another bonus. I also prefer to buy from people who really understand what they’re selling. I got email replies from you really promptly and also a quick and courteous telephone response from another member of the team. If I hadn’t seen your site I probably would never have tried out a digital piano as I thought they would be a big disappointment compared to the real thing and I rarely get the chance to get on a real piano which is sad as I spent many hours since I was a teenager getting up to a decent technical level such as Mephisto Waltz, Chopin Etudes etc but now on a decent instrument I can work at other higher aspects of playing and can do it any time of day or night! Even Three Blind Mice sounds great and I don’t have to just play fast to get a thrill. I can’t believe how good it is. It’s given me a lot of encouragement. I received my digital piano about a week ago. Im very happy with that. Thank you very much for your advise through the bible book before by digital piano. to adjustable piano stool and you gave me a great deal for that. I am also very pleased with your service, fast and prompt. I ordered by phone on Thursday afternoon and received them from TNT express service on Friday morning! We were much more than happy. Highly reccommend this shop. Great advisor, great service and great deal. I wanted to drop you and note to say thanks for the information, the prompt delivery and a great piano. It was straight forward to assemble (though definitely requires two), and has taken up residence in our family room. Mum and the kids are loving it, it sounds and feels like the real thing, and looks fantastic too! Again, thanks for the super service. Have a lovely Christmas! I didn’t realised you had written the digital piano bible until after I’d made my purchase through your site (chosen because of the near unanimous glowing reviews from across the internet). Fortunately, I’d already done quite a lot of research and tried out various electric pianos over the last few months so was confident in my choice of the Yamaha YDP-162 and, seeing its ranking in your bible, I am relieved to see you agree. It arrived yesterday and I’m so pleased with the sound, the feel, the functions, the look… it’s just fantastic! Fantastic service all round however and I know when I’m looking again in the future, I will certainly come back to you. As a beginner I had no idea there were so many things to consider when buying a piano. me to your piano guide. As a result I bought a Yamaha YDP162 from “uk pianos”. I found the guide very informative and now look forward to learning to play. thanks for getting in touch. About the piano, nothing to say, it is just perfect for our needs. Me and my wife were looking for a digital (compact) piano, not too expensive but as close as possible to a classical one in terms of key feeling and tones. The Yamaha YDP 162 was our first choice after reading the reviews in internet (including the one on your site) and when we actually tried it, well we were not disappointed. The quality of sound and the keyboard are just like a classical one, at least that’s what my wife says as i am my self a total beginner. It also looks very cosy at home, no doubt we are proud of our purchase and enjoy playing. I would like to highlight the fact that the service at your store was beyond expectations, thanks a lot to your stuff for arranging the delivery on the next day, it was really nice to have the piano at home so quickly. Good delivery service that arrived on the day arranged. The piano stool was replaced in the absence of the default one upgraded with a height adjustable stool at the same price, kind offer of the ukpianos company. My daughters and I assembled the pieces by reading the instructions written on the box, and waited for my husband to tighten the screws and to fix together the two big final pieces. The Yamaha YDP-162 piano is very good, my daughters enjoyed it, my husband started to take piano lessons too, and I like to put the demo songs on when we have guests! I found your digital piano guide extremely useful and informative. There are so many makes and types it is difficult to reach a decision. Before I read your guide I was convinced that the Yamaha DGX-650 was the one for me, but I didn’t really want all those bells and whistles. I had, until my recent move from the London area to the west country, owned conventional pianos but wanted an instrument which would have a smaller footprint and be more manageable to move around if necessary. After reading your guide I favoured the YDP-142 or the Broadway B1. I also sought the advice of a cousin who teaches music and has some experience of digital pianos. He advised against buying something too ‘cheap’ and the need to spend £700 to £1200 for a reasonable instrument. If I lived closer to London I would have come along to your store to compare the different models but living in the south-west it was easier to go along to Exeter where there are 2 stores with a good selection of digital pianos. I tried out the YDP-142, which was good until I then turned to the model next to it which was the YDP-162. The difference was immediately apparent and was worth the extra £300. I have now taken delivery of the YDP-162 in light cherry, which looks good with our furniture, complete with matching stool and headphones. I am very pleased with the instrument, it is great fun to play and even feels like a conventional piano. There are just enough functions to add extra interest without needing a degree to understand how it all works. The headphones are useful as the piano is in a large lounge which also houses the TV and I am sure it will give me many hours of fun. We are delighted with our recent piano purchase which was a Yamaha YDP162. Having been a regular piano player years ago, I was very happy with the look and feel of the piano and it sounds fantastic. Looking forward to many years of playing. Thank you for all of the very useful information on your site as well which very much helped steer us in the right direction for us. Thank you for the information regarding the Piano thro “Piano Bible”, ratings for different make/models and tips for selection of Digital Piano which suits to my requirement. 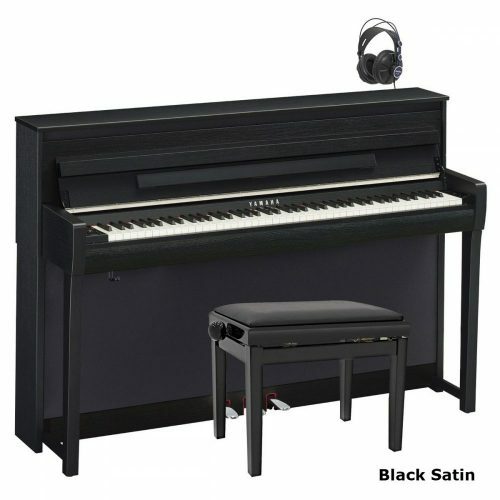 Your information has helped me to select the Piano from Yamaha make – YDP 162 based on sound/touch features and price. 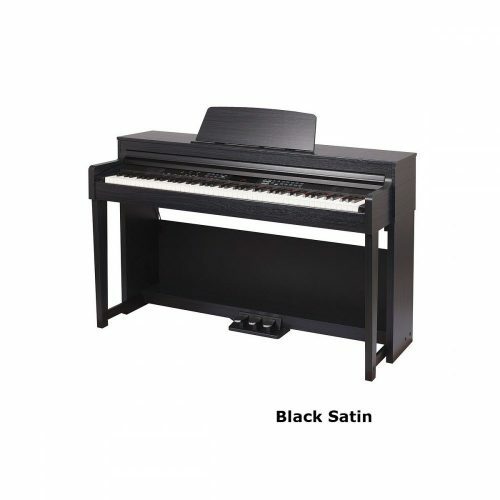 I am from southern part of India and looking for a good dealer of this product who can offer me the piano for a competitive price and warranty with service supports. Many thanks for your detailed guides which helped me to make an informed decision in choosing a piano. I bought a Yamaha ydp162. The ordering online went very smoothly and my lovely new piano was delivered at the specified time. All points of contact were nice and smooth! UKpianos is A really lovely company who just want to provide people with their dream pianos… with all the accessories thrown in! Would definitely recommend! I adore my new piano! Piano arrived at 8.30am (which was ideal) and was quickly carried up the stairs. I had it assembled by 10 am and it sounds great. Thank you, Graham and UK Pianos team. Appreciate your effort to call our mobiles as the doorbell was not working, which is not very common with regular delivery companies. Delivery was fast and went smoothly – a great experience! I thought that the information on your website was extremely helpful to my husband and I – neither of us play the piano, and my daughters’ piano playing is going in the direction of grades and as she was only playing on a little Yamaha keyboard she needed to upgrade to a real piano. The advice that we got from the site and the shop in Enfield when we made the pilgrimage down was so helpful – being naive pianists (!) we didn’t have a clue before we started out. We feel that we been guided and advised appropriately and have achieved the right compromise between quality and cost for my daughters current and future requirements. We were particularly grateful to the loan of headphones to my daughter (aged 7) so that she could try out the pianos in a less public way… In other piano shops we were not offered this simple solution to getting my child past her initial “stage fright” allowing us to help her feel comfortable with the enormity of the process. We look forward to Saturday and the arrival of our new piece of furniture and look forward to the many years of pleasure that it is no doubt going to give us. I may even try to may time to learn myself after she has gone to bed! I am pleased to tell you that my experience to have a piano over the phone was excellent. The information given was clear and order was straightforward. Today, I received my order and installed at home. The piano looks good. In term of the sound quality from the piano, I need to wait for my son to tell me his feelings. When I started looking for the piano, I thought it will be very tough with my limited knowledge of musical instrument. But I came across Graham’s piano guide and that really helped me. Also, graham was really helpful in answering my queries very promptly and that was a great help. I finally purchased the YDP162 piano from Ukpianos and there service was really good. My daughter is really happy with it and loves playing it. I found your help and advice most useful. When I visited the shop at Enfield I was treated with nothing but courtesy and I found the whole experience most pleasing and rewarding. The piano, and Yamaha ydp162, was delivered and assembled this morning by two equally courteous, and helpful gentlemen. They arrived on time and had the piano assembled and in the position I chose in no time at all. I would like to express my thanks to you and all concerned for making the purchase of my piano such a very pleasant experience. I am delighted with it and I would have no hesitation at all in recommending UK Pianos’ to anyone wishing to buy an instrument. As you will see I have made my choice! I checked up on the sound of the Classenti and the Roland (I’ve played these before in church and at school – ok but not as good as) and the Yamaha. entirely satisified – and for something that is going to be in my house for a long time that’s just not good enough for me. I am really looking forward to receiving the piano and being able to play with my husband and friends. You offer an excellent service, and I am very pleased to be spending my money with you. I was really pleased with the service provided by Graham and UK Pianos. The team were friendly and helpful from the moment I arrived in the showroom, and helped to select an appropriate choice of piano, ydp162, from a few potential models that I was considering. Delivery was made swiftly and on the planned date and I’m now up and running with my new Yamaha. I’d definitely recommend them to anyone considering a piano purchase. I am so pleased with the service received at UK pianos. Graham was so responsive and a real pleasure to do business with. Purchase, delivery and installation was carried out within 3 hours! A huge thank you to Nigel for assembling our piano, what a lovely kind spirited man he is. Our Yamaha YDP162 in polished ebony looks and sounds fantastic. Most of all – with the team at UK pianos being able to meet the tight turnaround, I was able to completely surprise my daughter with this unexpected gift. We purchased a YDP-162 for my very young daughters and myself . On arrival it was set up and the delivery man Nigel kindly helped me do this. Minutes after he left I noticed a fleck of blue paint across the black keys. This was a new piano opened in front of me direct from Yamaha. I ran out and asked Nigel to return as i didn’t want to accept it. The fault was very minor but this was a significant purchase for our family and we wanted it to be perfect. We spoke to the shop. They decided to leave the piano with us and return the next day with a new keyboard to be inserted from another new piano in storage locally. I used to live in Enfield and i am now only 25 minutes away so I know the shop and its excellent reputation. I trusted them and wasnt concerned about what had happened. The fault was with Yamaha who are also an excellent business to deal with regardless. I know for some people purchasing online this would be the moment of panic when the driver leaves you with the goods and drives off with a promise of bringing another piano back. The next day at 7.30am the new piano was delivered and a new piano seat as we wanted to upgrade to a deeper one. Excellent service and customers should be confident to do such a high priced purchase online. This business has only survived for as long as it has because they are honourable honest musicians selling world class pianos. I wish they had more piano books in the shop though! long gone are the days when you could browse for hours through music books. Just to let you know the piano arrived safely yesterday, all assembled and working! Looking forward to many hours of piano playing. Thanks for all your help and advice, will keep you updated if I need any more. Received my Yamaha YDP 162B today – just one day after placing my order! the stunning realistic sound quality of an acoustic piano emanating from a digital piano. UK pianos, I Take my hat off to you! My 1st choice was the Broadway B1 however no one sells them in Western Australia so I have decided to buy Yamaha YDP162. spend right now so I am going to buy it in a few months after I have saved up some money. I debated about going with a less expensive model and decided against it and am willing to wait till I have enough money saved. Graham, your digital piano buyer’s guide and supporting information was a tremendous help in my selection process. I thank you for all your time and assistance. I would have bought my piano from you if you shipped to Western Australia! Received the piano in perfect condition and remarkably quickly.The French delivery driver would not help me carry it up the stairs but that wasn’t the fault of UK PIANOS. The piano is great, the music stand is pathetic in that anything of any size, including the book you supplied, just falls off ! We had placed an order with UKPianos for a Yamaha YDP162 and it arrived yesterday. My wife has been enjoying playing it. Hi , just took delivery of my daughters yamaha ypd 162 package and set it all up. I am more than pleased with the product. I am even more pleased with the price and excellent customer service and delivery from you. Thanks, a very satisfied customer. I received my Yamaha YDP162 last Wednesday from UK pianos. I am more than happy with what I have seen so far. Just to say thanks for your help in with by sending your publication 7 things etc. 24 hours of placing the order with you. Thanks once again for the excellent service from all at UK Pianos. Thanks for your service (and competitive price! ), and these days that’s all too rare! Thanks for your help. Your website and your service have been very impressive so far. My sons have been badgering me all evening to find out if and when I was going to order the digital piano for them. The piano was a gift for my wife who hasn’t played for years and she loves it! Our two young boys think it’s great too. Your staff were all excellent! Everything is fine thank you. It was really easy to set up and the sound is a lot better than I was expecting. So helpful to have such good advice when you are thinking of buying a piano. Chose the piano and delivery was efficient. trustworthy help and advice and quick and efficient service. Thank you. Thank you for email! Really happy with my purchase of a Yamaha YDP162! We are now resident in France and it has pride of place! I bought a Yamaha YDP162 piano, the main reasons being because I liked the sound and the feel of the keys and it was within my budget. Now I am really enjoying playing it at home. Ordered a piano, Yamaha ydp-162b last week, arrived next day, really pleased with it. Now the hard part, learning to play it. I received your booklet on digital pianos several months ago which was very, very informative. getting round to driving up to Enfield from East London. I visited the uk pianos store in enfield on Friday. The Yamaha 162 sounded as good as you said and so I bought it. plenty of time to spend on it. Thank you again for your advice, I would not have known where to start otherwise. I bought a Yamaha YDP 162 from ukpianos.co.uk. It had the best write up for the price I could afford. The delivery of the piano was excellent with the delivery man bringing it into my sitting room. I am very pleased with it and am now teaching myself to play again. both my wife and daughter are very happy! Later in the week we were in Edinburgh, so we visited shop and ordered it immediately. The main reason for buying the 162 rather than the 142 was the reply you made to a question “The specs on the 142 are almost identical to the 162, why pay £200 more.” You said “The 142 sounds tinny, and you will regret it.” Quite right, the 162 sounds great. So, many thanks, and I have already passed on your web site to two friends.  I purchased an Arius ydp162 from your site. It arrived promptly and your staff were most helpful in getting TNT to deliver the missing stool. Assembly was easy for me – my husband and my piano teacher did it – and the sound is just wonderful. I bought the Yamaha YD162 and I am getting on quite well. Like the sound and tone and the feel of the keys. It was a little more than I was going to pay but felt it merited the extra cost and I have not been disappointed. Review by Rob Ahearn, Waltham Cross, Herts. I bought a yamaha ydp162 digital piano from UK pianos and was very happy with the service in general. Everything was very straightforward – ordering, paying, delivery etc. Any of the staff I dealt with were very friendly and helpful and I received an email after the delivery of the piano to check to see that everything was ok. I am very happy with both my piano and the service and would highly recommend UK pianos to anyone.